Every day, millions of workers around the world put their lives on the line due to the risk of flash fire, electrical arc flash and molten metal splash injuries. In an instant, flames or intense heat can engulf your employees, putting them in grave danger. Often, their only safeguard from serious injury, or even death, can be their protective apparel. In a matter of seconds, a momentary electric arc, flash fire or molten metal splash exposure can surround a worker with searing temperatures that will ignite everyday non-flame resistant work clothes instantaneously. Worse yet, non-flame resistant work clothes continue to burn even after the source of ignition has subsided. In fact, the majority of severe and fatal burn injuries are due to the ignition of non-flame resistant work clothes - not by the actual exposure to the heat source itself. Using flame resistant clothing can provide the necessary thermal protection to shield workers at the moment of exposure. Once the source of ignition is removed, flame resistant garments will self- extinguish, greatly limiting the severity of a burn. In many cases, they can mean the difference between a minor accident and a tragic fatality. For people working in environments where they are exposed to sparks, molten metal and flash fires they are presented with the daily possibility of serious injury or even death. FR clothing does not ignite and continue to burn and essentially can save lives. If you are An Electrician, welder, work around molten metal or oil & gas or anywhere where there is a risk of your clothing catching fire you should be wearing FR Clothing. TenCate Tecasafe® Plus is engineered to provide unbeatable electric arc and flash fire protection that lasts twice as long as FR treated cotton fabrics. Tecasafe® Plus is soft and lightweight fabric providing unmatched comfort. Tecasafe® Plus's inherent protection will never wash or wear out. Banwear® fabrics provides flame resistance that is guaranteed for the life of the garment without sacrificing the soft breathable comfort of cotton. That's because it's 88% cotton, with 12% high-tenacity nylon which provides extra garment durability for an excellent value equation. 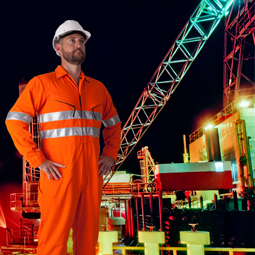 ALu- SAFE® is a unique high performance work wear fabric developed specifically and especially to protect workers in Primary Aluminium Smelters who are exposed to the hazards and dangers of molten Aluminium and Cryolite (reduction cell flux) splash. ALu-SAFE® also offers protection from hazards such as radiant and convective heat and electric arc. What Standards should I be looking for when purchasing FR Work wear? NFPA70E : The National Fire Protection Agency's (NFPA) 70E is the Standard for Electrical Safety Requirements for Employee Workplaces. NFPA70E requires employees to wear flame resistant protective clothing wherever there is a possible exposure to electric arc flash. NFPA70E is widely accepted throughout general manufacturing as well as the electrical industries. National Guidelines (Australia) for the selection, use and maintenance of personal protective equipment for electrical hazards) around Arc Flash protective clothing. Standard Performance Specification for Textile Materials for Wearing Apparel for Use by Electrical Workers Exposed to Momentary Arc and Related Thermal Hazards. The standard for Flame Resistant Garments for Protection of Industrial Personnel Against Flash Fire. The standard is targeted towards workers who are at risk of flash fires, primarily in the petrochemical industries. Forward thinking companies are now looking towards using FR Clothing as their standard work wear to ensure the safest possible environment for their teams on all types of worksites across the electrical arc flash, oil & gas, metal fabrication mining, electrical, fire fighting and chemical industries.